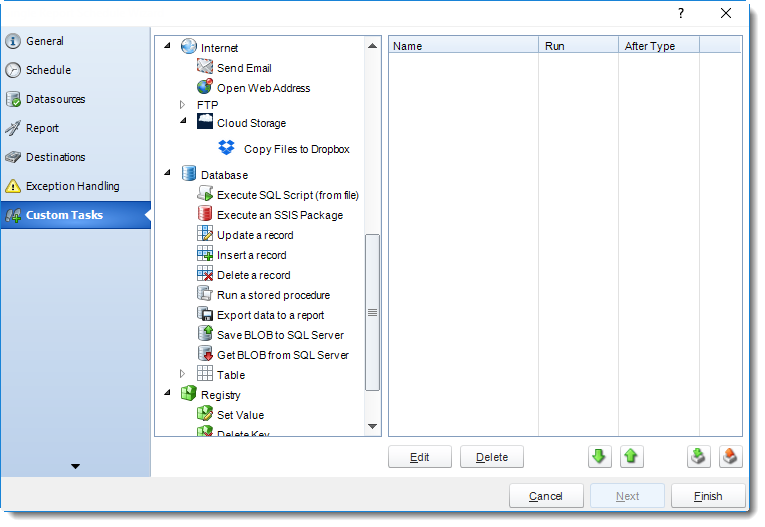 How do I set use "Registry" Customs Tasks in SQL-RD? 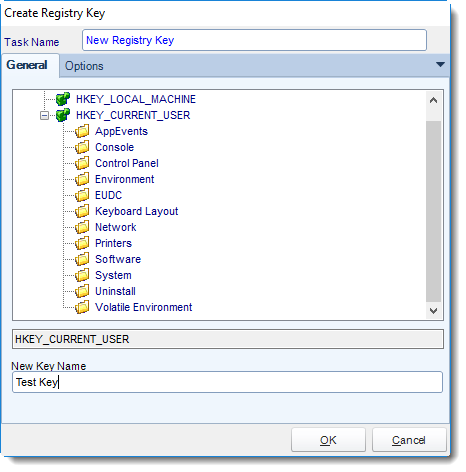 Registry Tasks enable you to create registry keys, set values, and more. This a powerful module and only those knowledgeable of windows and their systems should use this functionality. 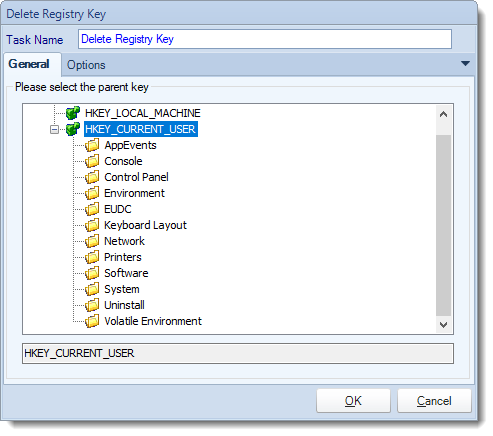 Registry Key: Select the registry key from the drop down menu. 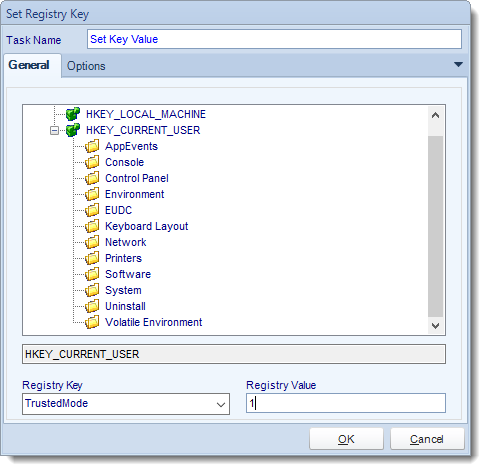 Registry Value: Enter the new value. General: navigate to the key that needs to be deleted. Navigate to the base key you would like to add a sub-key to. Hint: To create a new key and assign it a value, you must first create the key, then use the Set Value task to set the value for this new key.